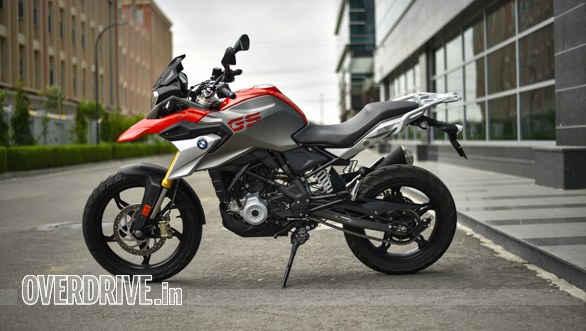 BMW Motorrad India has launched the G 310 GS in the country at an interesting time. While the existing segment for the mini-adv motorcycles comprises just two players, they are both at different ends of the pricing spectrum. With a price that lands closer to the centre of the range, does the G 310 GS offer a better value than the Kawasaki Versys-X 300, and offer enough of a distinction from the Royal Enfield Himalayan FI to claim the hill before the KTM 390 Adventure arrives next year? We find out. The Himalayan towers over the other two in terms of dimensions with a 1,465mm wheelbase, 15mm longer than the Versys, and a 2,190mm length. With the smallest dimensions, the GS still has the highest seat at 835mm, 20mm more than the Versys and 35mm more than the Himalayan. The Himalayan also sits higher off the ground with a 220mm clearance, while the other two share their 180mm clearance. 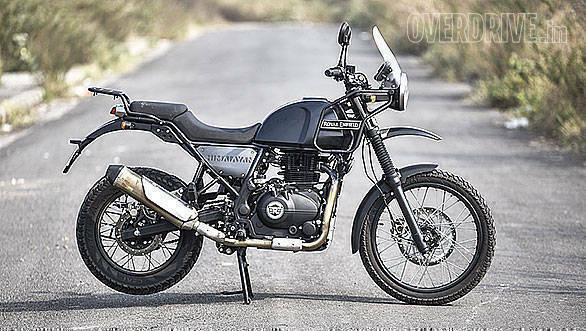 The added size also comes with a 191kg kerb weight for the Royal Enfield. 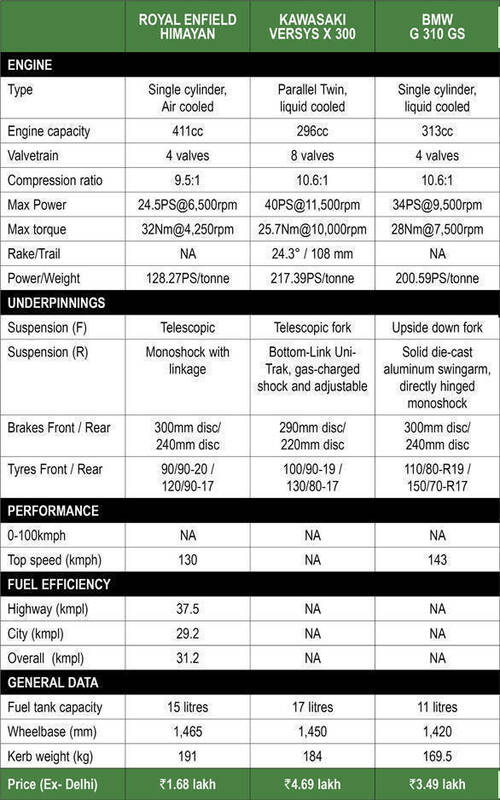 The GS weighs the least at 169.5kg, the Versys is not far behind with a 175kg kerb weight. This should translate into easier handling and maneuverability aboard the baby GS. The weight difference can matter when chucking the motorcycle along a trail as well as with efficiency while munching highway miles. The height is drastically lower on the GS as the other two motorcycles feature larger fly screens. Of the three, the GS sports the smallest fuel tank at 11 litres, while the Himalayan can carry 15 litres and the Versys holds 17 litres. With a claimed fuel efficiency of 30kmpl on the GS, an 11-litre tank may work well in an urban scenario but could cause some range anxiety on long runs. 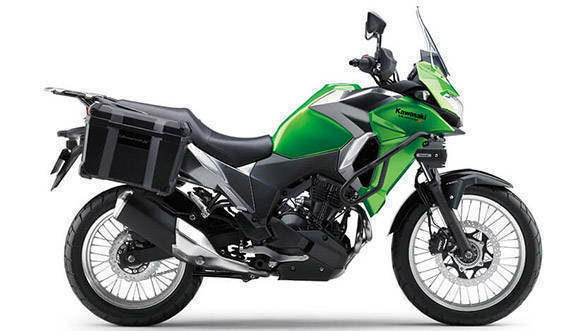 The Himalayan now features fuel injection on its 411cc air-cooled single, and the Versys-X 300 sports a 296cc liquid-cooled parallel twin it shares with the Ninja 300. The latter puts out the most power, at 40PS, while the new entrant GS produces a modest 34PS from its uniquely oriented 313cc liquid-cooled single. Despite sporting the highest cubic capacity, the Himalayan makes the least power at 24.5PS but also the most torque, 32Nm. Taking these into account, the Versys manages the best power-to-weight ratio of 217.39PS per tonne, with the GS in second at 200.59PS, and the Himalayan is a distant third at 128.27PS per tonne due to its higher weight and low engine output. For adventure tourers, enduring rides on as well as off the road matter. And while preferences on the extent of off-road ability may vary, it certainly helps to be prepared. The Versys and Himalayan both sport wire-spoked, with former having a 19-inch front and the latter a 21-incher. The GS singles itself out here being the only one with more road-oriented cast aluminium alloy wheels, 19 inches at the front and a 17 at the rear. All three bikes sport discs at both ends. The GS and Versys are at par with the presence of dual-channel ABS, while the Himalayan is still waiting for its updated version featuring this safety system. The catch, though, is that the ABS cannot be switched off on the Versys, which may hamper the way one rides either off the road. But it Versys seems to offer more in terms of add-ons including a single pannier and auxiliary lamps right out of the dealership. The GS meanwhile is the only one to not sport a centre stand as standard and may offer it as an accessory. But you do pay through your nose for those company add-ons. At Rs 3.49 lakh (ex-showroom), the BMW G 310 GS cannot be said to have a true competitor until the KTM 390 Adventure arrives next year. The Versys-X 300 sports accessories that while being useful, drive up its price more than Rs 1 lakh over the GS. The Himalayan, meanwhile, offers good value at Rs 1.68 lakh but skimps on important safety bits such as ABS. The Royal Enfield is priced Rs 3 lakh lower than the Versys so if and when an ABS version arrives, it could be a good option. 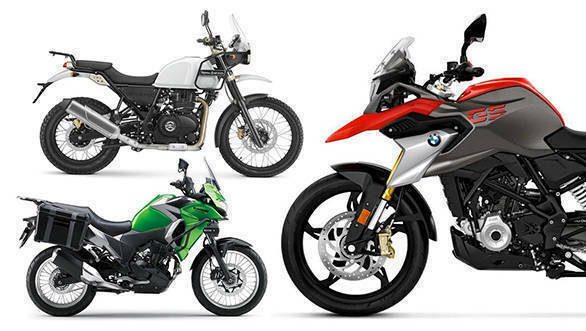 BMW Motorrad India will offer touring and comfort accessories separately for its 313cc mini-adv, which looks like a smart move. But the lack of spoked wheels even as an accessory seems to be a miss for a motorcycle that sports the GS badge. That aside, it is the only one with switchable ABS, and BMW has been vocal about maintaining a single quality standard across its product range. We have not ridden the three motorcycles side by side so a clear winner cannot be adjudged at this point. 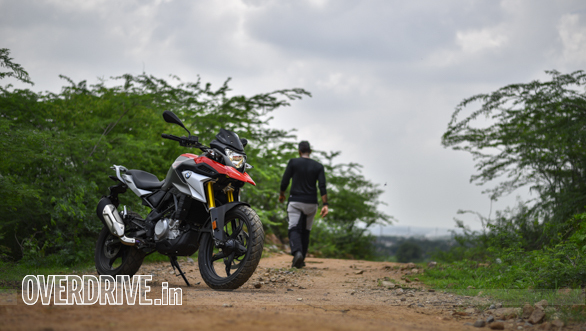 But you can read Shumi's first ride review of the G 310 GS here to get a better idea.